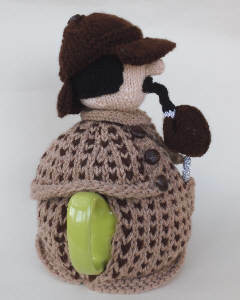 Sherlock Holmes is the renowned deerstalker wearing detective who may or may not have smoked a calabash pipe. 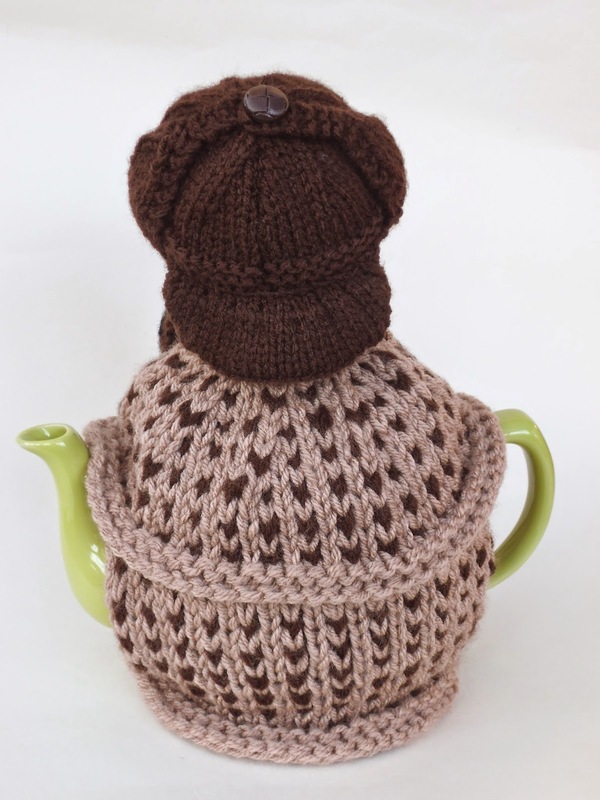 This Sherlock Holmes tea cosy has all the classic features that we associate with Arthur Conan Doyle's character including the deerstalker, calabash pipe and magnifying glass. 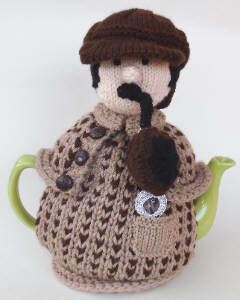 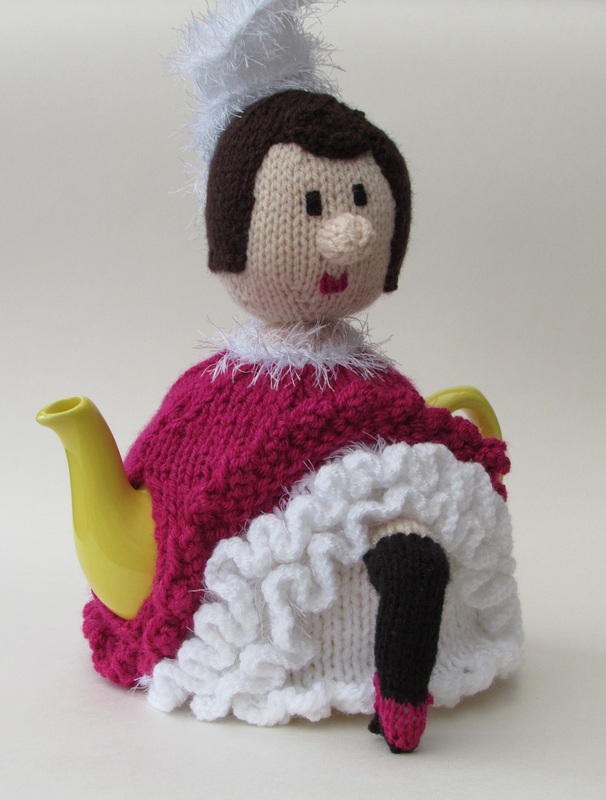 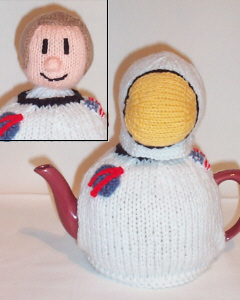 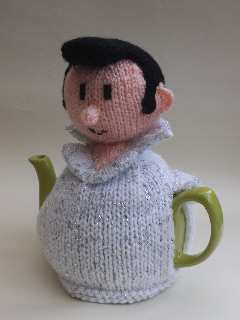 The Tea Cosy has Sherlock dressed in a tweed Victorian style coat with leather look buttons. 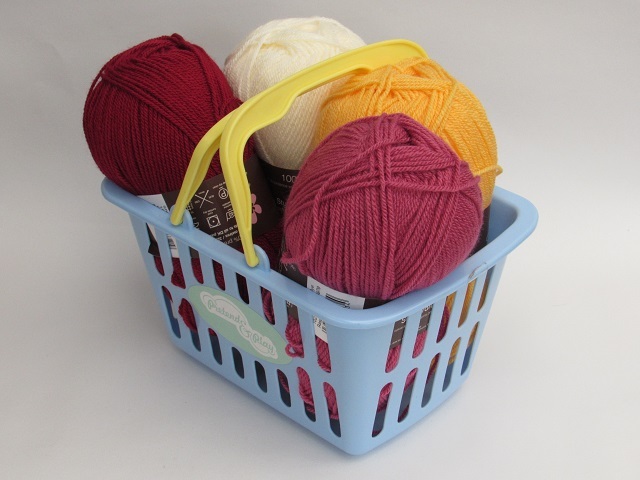 4.00 mm, UK size 8 or US size 6 double pointed needles for knitting an icord. 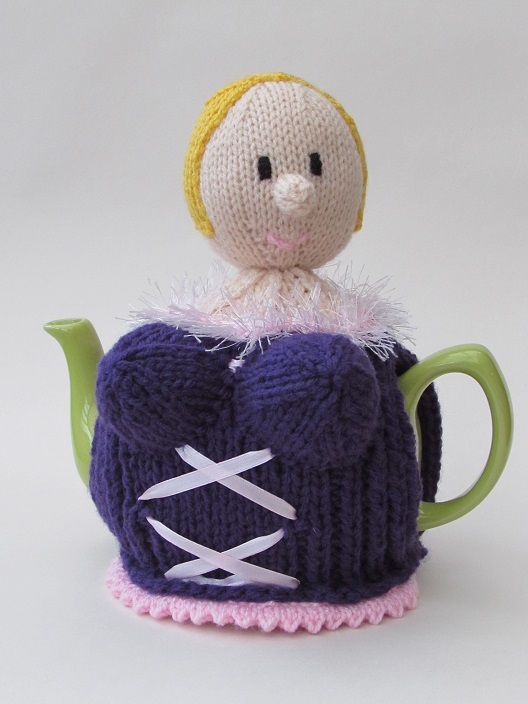 You can use regular knitting needles but double ended pins make it easier. Both methods are explained.